Reception Color: Black Color Custom Colors Call to Order!!! 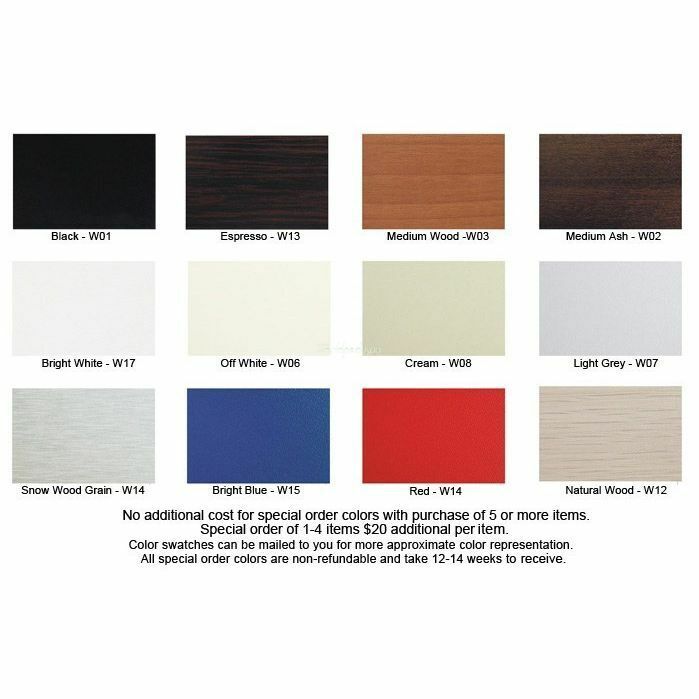 Shipping Cost: PLEASE SELECT 1 Reception (+$175.00 ) 2 or More Receptions Please Call for Freight Quote!!! Reception Desk - 9200 Our premiere salon reception furniture and barber reception furniture lines. Shop beauty salon reception desks at wholesale prices. The perfect receptionist desk is important to the design of your salon or barbershop. It's the first thing your client sees; present the look of luxury with our discount reception desks. 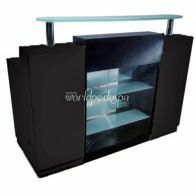 Spacious Reception Desk with Elevated Glass Top is an elegant addition to your entryway and versatile enough to handle appointment scheduling, retail and more. 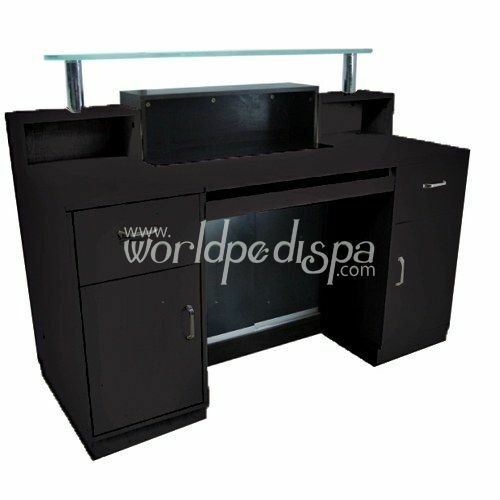 Sturdily constructed, it has two drawers and two cabinets for tidy storage and organization, pull-out keyboard tray and two glass shelves. Floor to top shelf: 43" H, Floor to top counter: 36" H, Floor to workspace counter: 30"H, Cabinet width: 15"W, Center Cubby: 26"W x 7"H, Unit: 57 1/2" W x 23 1/2" D. Custom colors available!! !